Congratulations on your sale Marilyn! 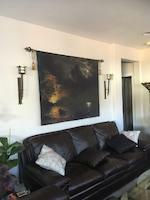 Very charming setting Marilyn, Congratulations on your sale! It is Lovely and i imagine it is always there . You have done it so well I aded it to my Favourite too . Thanks Marilyn ! Hi Cyril, so glad you liked the painting!!! I made it up, just as a tribute to my favorite artist--Van Gogh. I knew he hung out there, and so I painted a little café in his honor. You didn't miss it--it's not there. But thanks again for the compliment!! This is beautiful and I am wondering Is this exciting in Paris ? Thank you so much Cynthia!! Congrats on your sale..well done! Thank you so much Nina and Terry!! A delightful piece of art. Congrats on your sale. How nice of you Nikolyn!! Thank you so much. I am tickles to have come in at all in the contest!! 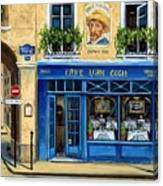 Delightful painting of a cafe with a street "terrasse" - quintessentially French. Congratulations on your tie for 2nd place in the recent European Cafe contest. 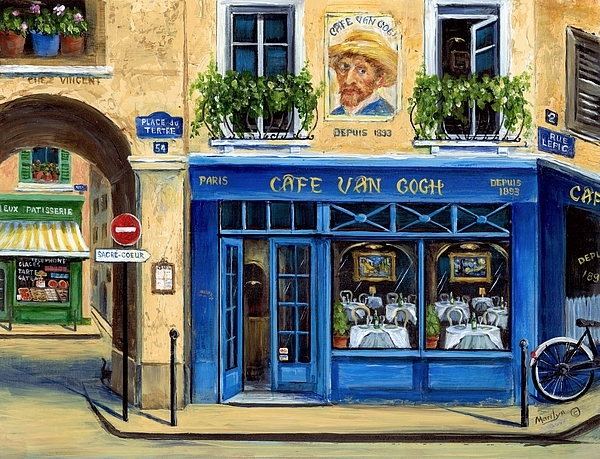 PLEASE ENJOY THE BRIGHT COLORS, AND THE ARTISTS METICULOUS ATTENTION TO DETAIL IN THE CAFE VAN GOGH. THIS PAINTING IS ONE OF A COLLECTION OF FRENCH SHOPS, INCLUDING THE BOOK,CREPERIE,PET,PASTRY,FLOWER,BICYCLE, WINE AND HAT SHOPS. LOOK FOR THE LITTLE BLACK CAT IN ALL OF MARILYN'S PAINTINGS.